Some might consider their reply to this question in terms of financial measures, perhaps based on profitability, cash flow and a balance sheet with favorable ratios. Others might point to a mature and extensive customer base with lots of repeat business and a large backlog of orders to process. Both of these are certainly valid perspectives. I would like to consider this from an organization development perspective. I believe healthy organizations have meaningful guiding principles (vision, mission, values) that tie to clearly defined staff roles and responsibilities employ effective processes and procedures and set behavioral expectations that support constructive work cultures. Healthy organizations foster open, reciprocal communication where problems can be identified and resolved, issues can be brought to the table, ideas can be developed and people are accountable for their actions. Contributions to organizational success come from all levels and are celebrated and rewarded. Healthy organizations treat customers, suppliers and staff with respect. They also take into consideration the personal and family needs of their employees. In addition, they encourage personal and professional development, expect continuous improvement and look for creative ways to meet customer needs. Healthy organizations keep an eye to the future with regular short-term and long-term planning activities and pay careful attention to who they hire as new members of the team. In summary, healthy organizations are places where you’d look forward to coming to work or to do business with. With all this in mind, would you consider your organization a healthy one? Mark J. Komen, President of Kodyne, Inc., is a business coach and management consultant based in Minneapolis, MN. Mark draws from over 30 years of engineering design and engineering leadership positions to bring practical perspectives to the issues of growing, developing and changing organizations. Mark is also a franchise owner with The Alternative Board TAB – an international organization offering peer advice and coaching solutions to the owners of small-to-mid-size businesses. 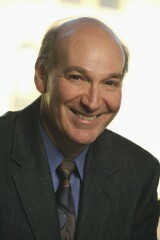 Visit his web-site at http://kodyne.com to learn more. (c) copyright 2010. All rights reserved worldwide. Next Post: Get It Off Your Plate – Delegate!